Own SharePoint. Wherever it is, On-Premises or in the cloud with Office 365, let your users leverage the platform and stay in control at the same time. With improvements made both to our migration, and especially our security management features, you’ll find yourself sleeping much better at night knowing Sharegate is on your desktop. The update also comes with a number of improvements, both to the design and the user experience, to make Sharegate as simple to use as ever. We’re forging Sharegate to be THE simplest management tool to let you do it all from the same app without having to worry about speed or GBs. The scary thing about SharePoint, both On-Premises or Online, is losing control. And security isn't something you can just let run amok. This update is about controlling those security worries. Gain insights on your environments simply by navigating it. Besides the list of settings shown for each object you select, a new Security tab will help you know exactly who can do what and when in your environments. Seeing a list of who has access to your selected document library in just a click will help you secure even the largest of SharePoint deployments. With one click, visualize exactly who has access and how they have it. The ultimate permissions report! This simple, yet detailed report, will help you protect your environments by giving you the information needed about permissions on any SharePoint object. And by adding new ways to report on your SharePoint’s security, we inevitably had to redesign our permissions management actions. It's now even smarter than before and helps you follow the recommended Microsoft guidelines when managing your security. As shown above, when asking Sharegate to grant permissions to a User or AD Group somewhere in SharePoint, you’ll now be shown all existing SharePoint Groups they can be added to. It's powerful, follows your best practices and simpler than ever. The same can be found in the Remove Permissions action, click and follow the easy steps. Our migration simulation or “Pre-Check Report” helps you identify potential issues with your migration without actually running a real migration. Ideal to pinpoint those problems before they happen and fix them. We’ve carefully modified it to improve the display of the results. Grouped by type of issues, it's easy to view and interact with. After a long trip to the Nintex office in Australia, our respective teams have worked very hard to provide our customers with the best and simplest way to migrate On-Premises Workflows to Office 365. With Sharegate, whether you're migrating from On-Premises to Office 365 or copying Nintex Workflows around and even back to On-Premises in some hybrid scenarios – It’ll work. See the detailed list of Workflow Actions mapped. Whether you're migrating with Sharegate or using it to reorganize and restructure your SharePoint afterwards, you know it'll be a solid and simple experience. But even better, that same tool allows you to explore your environment to get detailed insights on what's happening quickly. 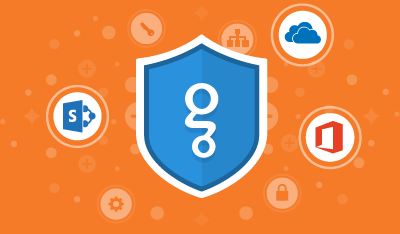 This update of Sharegate is an exciting one because it reimagines security management for your different SharePoint environments and allows you to maintain it easily as well as act on it following best practices. Try the new Sharegate and stay in control! We’re very excited to be releasing the support for SharePoint User Alerts migration. Many of you have requested this and we’re happy to say that if you are migrating On-Premises SharePoint, your User Alerts will follow suit. Next time you migrate or copy something across, be sure to check User Alerts to bring them along. We've also improved the Permissions Matrix Report: all report results are exportable to Excel for further investigation.